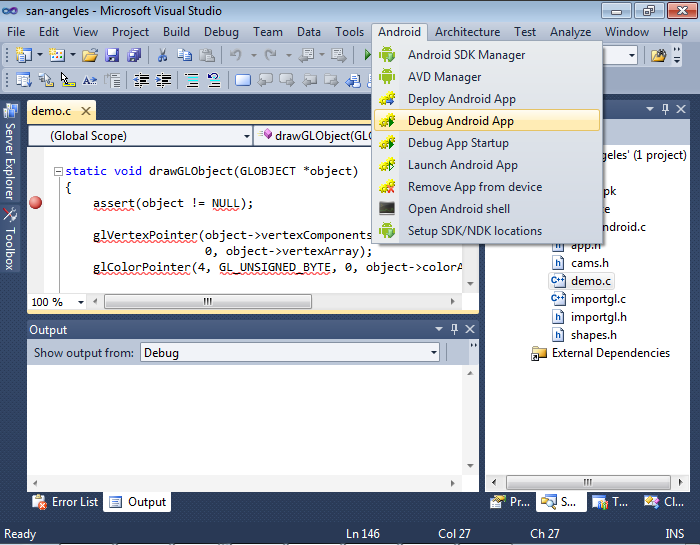 If you prefer using VS-Android to build your projects with Visual Studio, you can still use VisualGDB to debug them. Once installed, VisualGDB will automatically detect VS-Android projects and will offer you the debugging and deployment commands under the Android menu. Want more details? Follow our step-by-step tutorial on debugging VS-Android projects.